I love the red, especially the red tomatoes paired with the blue plate...very striking! Those red tomatoes on that plate! Great photo and yum! 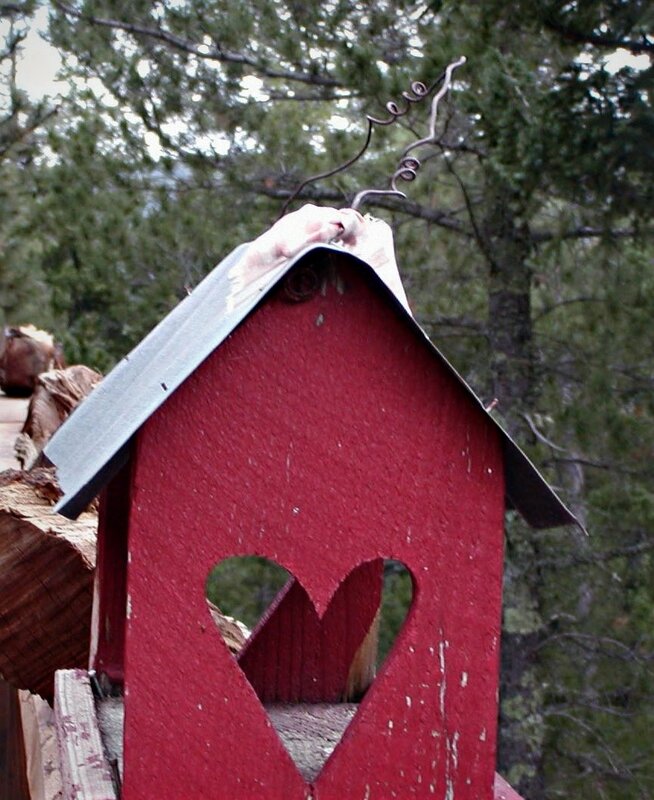 The red bird house is so cute and the heart symbol is like the Elk trademark. The bird house is lovely .., but those tomatoes look yum too, nice on the simple plate. An open heart set the birds free- they went to nibble on yummy tomatoes- but don't you worry, soon they will be flying back to the home that loved them! The bird house is so pretty. And those tomatoes on the beautiful plate! Makes me want a tomato sandwich with homegrown tomatoes! 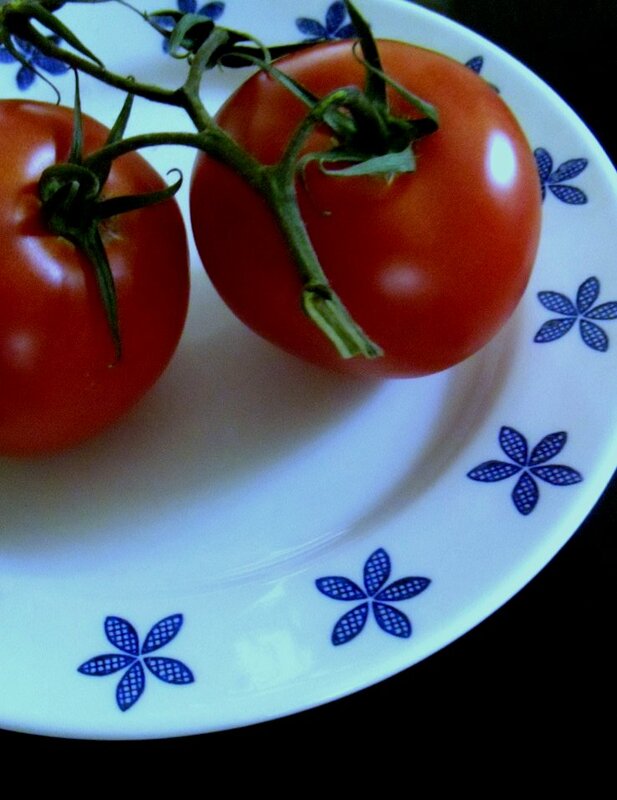 Red tomatoes on a white and blue plate, perfect! Such great colors. Love the reds!!! I like that...and I really liked your previous post. very nice. i like this new ongoing theme of thoughts and images. fresh day, open heart ! now that needs to be a sign on my bathroom mirror ! those tomatoes look great! I am waiting to harvest my first one - I think it's almost ready! Is that a bird house? I love it! Those cherry tomatoes bring back wonderful memories. Your post/photos make me feel good. Thanks! Now I am hungry, lol! I didn't know tomatoes can be so pretty! this plate is lovely. such a soft, welcoming pattern.